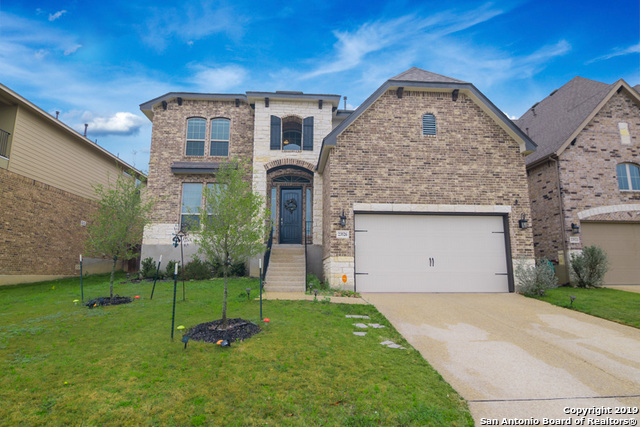 All HEIGHTS AT STONE OAK homes currently listed for sale in San Antonio as of 04/24/2019 are shown below. You can change the search criteria at any time by pressing the 'Change Search' button below. "Beautiful 1 story former model home boasts an open floorplan, with high ceilings, oversized ceramic tile, plantation shutters, endless upgrades, spacious living room with focal point fireplace. Gourmet island kitchen, Bosch Appliances, gas cooking. Luxurious master bath with separate vanities, garden tub, oversized shower. Oversized walk in master closet. Outdoor living, with gas grill, fireplace and plenty of room to entertain. Home shows exceptionally well. Too much to list. 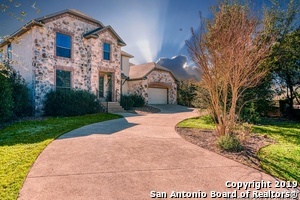 This is a showstop"
"Bring the dream to life in this beautiful Stone Oak home! Picture perfect views and stunning pool complete the gorgeous backyard oasis! Grand entry, soaring ceilings, spacious open floor plan. Island kitchen w gas cooktop, granite counters, butlers pantry. Large family room with stone fireplace. Lux master suite. Spacious game room opens to a balcony overlooking a peaceful setting for easy living. Feeds highly ranked schools & Reagan HS. And it's all priced to please with recent price adjustment"
"New Construction Monticello Home. 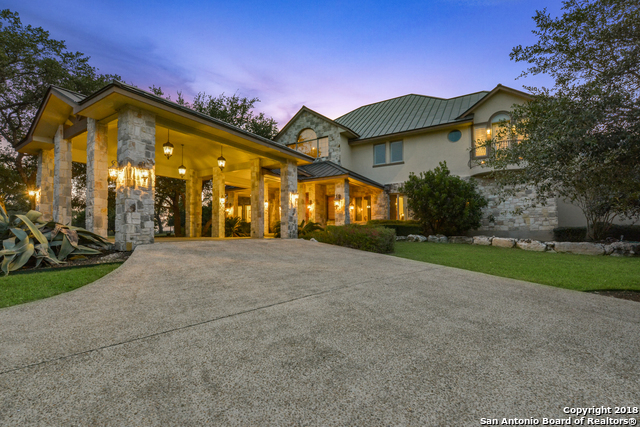 Gated Community in The Heights of Stone Oak. Great 3945 sq ft home with open floor plan. Amenity center with pool, sport courts." "Paradise Newmark Custom home located on a cul-de-sac over 1/3 acre lot. Home is loaded with features, Gourmet Kitchen Kent Moore Cabinets & Granite Counter. Hardwood & Tile Flooring, Plantation Shutters in All Windows, Family Room w/Fire Place, Sun Room. Large Master Suite w/Bay Window. Downstairs office w/full bath could be 5 BR. 2nd floor Large Game Room, 3 car side entry garage, 3 AC's zoned. 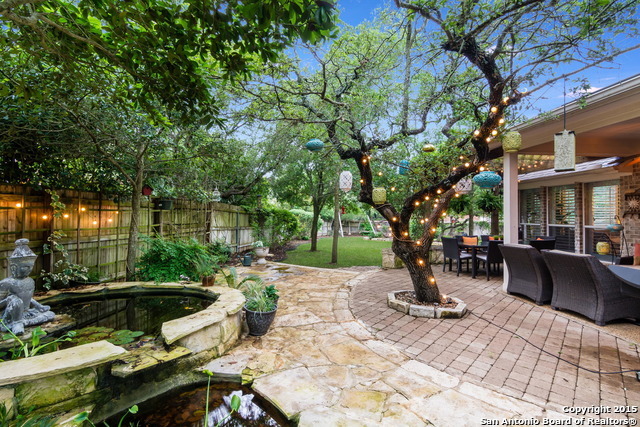 Come back home and relax by the oasis back yard 3 Pond with fish and tons of trees. Guard gated neig"
"Monticello signature home. 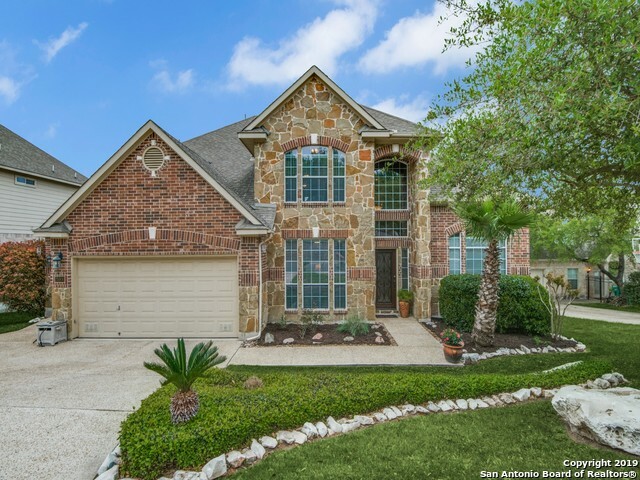 Very private and Gated/guarded community at Heights of Stone Oak. Shows a granite kitchen with wine cooler, wet island, and custom cabinetry is a masterpiece by Monticello. Grand media room, Master bedroom and full guest bed/bath downstairs. Back patio w/ stone flooring, gas grill, pergola, and stone wall fencing. Cozy drive into a large private cul-de-sac nearly to yourself. One of the best SD in SA. 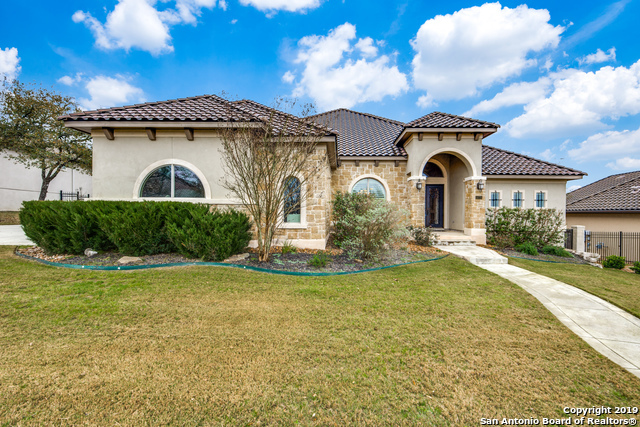 Excellent location at Stone Oak with markets and fine dinning blocks"
"Beautiful EMERALD Luxury Home. Plan features an impressive huge island, perfect for entertainment around the chef's kitchen, custom J Kraft cabinets, high ceilings, entryway vestibule creates a WOW factor for your guests. Gated guarded community, recreation center includes: pool, park, volleyball, basketball, tennis and soccer. 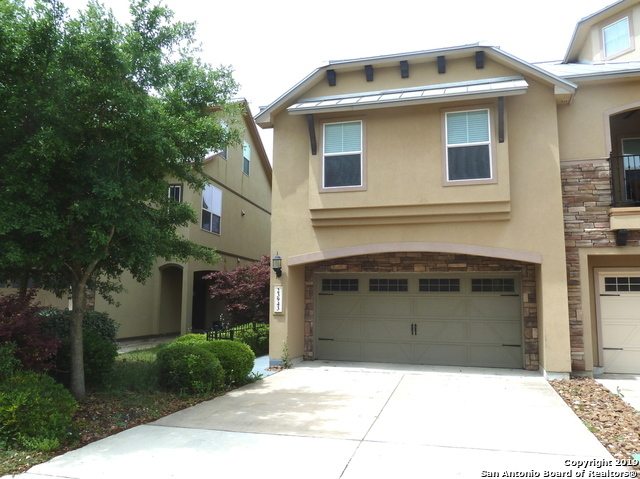 Walking distance to excellent NEISD schools and shopping! PLEASE schedule today and see this beautiful house." "3 CAR GARAGE!! Boasting 3300sf this impeccably kept Newmark Home enjoys abundant wood flooring, Plantation shutters, soaring ceilings, and cozy fireplace. Chef's delight granite kitchen w/ island, stainless double ovens, gas cooking and sun-kissed breakfast area. Nicely sized master down, double entry closet and a dream master bath w/ frameless walk-in shower. Abundant game room and storage up. All baths updated cabinetry and granite. Over 1/4 acre greenbelt, cul-de-sac lot for privacy. 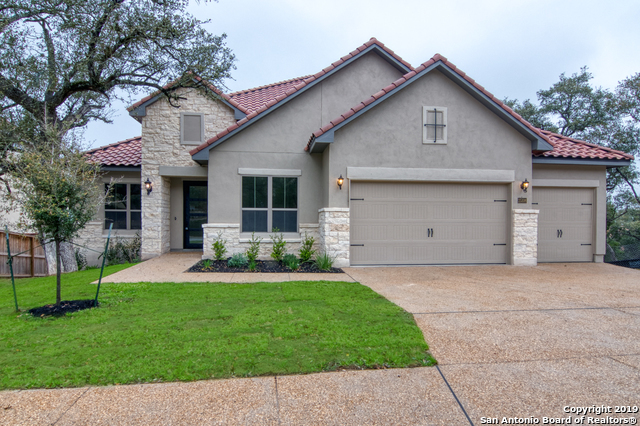 Call"
"You'll love this gorgeous home in the prestigious Heights at Stone Oak. 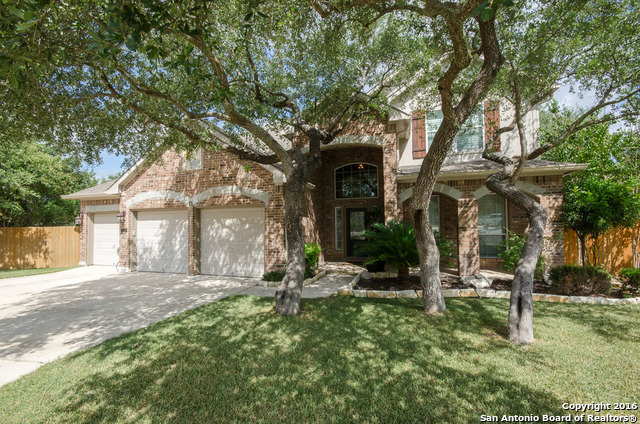 Close to HEB and other conveniences, 24-hour gate guard and amazing neighborhood amenities. Fantastic floor plan with 4 living areas, 4-bed/3.5 baths. Master is on main floor. Beautiful kitchen has double ovens, cooktop and large walk-in pantry. Large open game room and Texas Basement on upper level. Beautiful backyard with covered patio and multi-level deck is great for family time and entertaining. Sellers are original "
"This is a absolutely beautiful house! Upgraded gorgeous chandeliers in the living, dinning and entry. high end water softener. added patio in the back yard is ready for party. The custom made IKEA closet on 2nd floor. This wonderful home is waiting for its next family!" 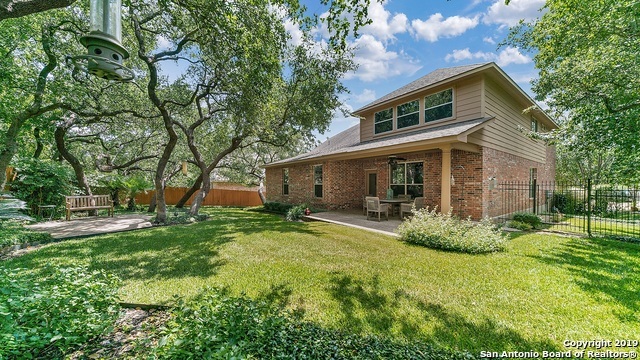 "Gorgeous 2 story brick home in guarded community of Hgts of Stone Oak, cul-de-sac street offers 4 bed 3.5 bath study/office, living & HUGE game room. Open floor plan w/gas fireplace. Stunning kitchen w/island; B/I microwave & gas cooktop. 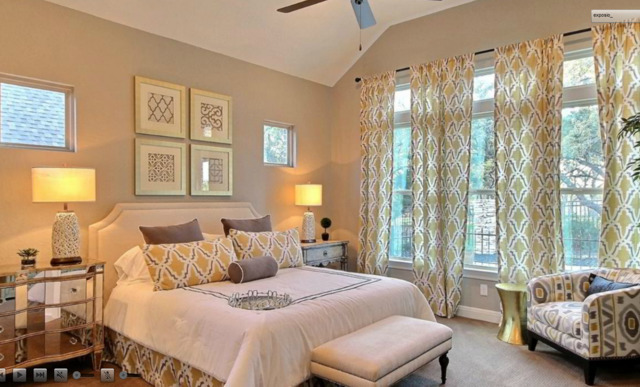 Spacious master down w/Large master bath, walk-in shower/grdn tub & separate vanities. Large upstairs bdrms and plenty of closet space. Bckyd w/large covered patio, and sitting area beneath the oak trees on nearly 1/4 acre; NEISD Schools; Close to retail & ente"
"*Beautiful Custom Single Story Sitterle Home In Desirable Stately Oaks in The Heights at Stone Oak*Prime Location*Exemplary Rated Schools*Top Rated Homeowner Association w/ Security Guard Gate Entrance*Minutes From Shopping, Medical and Easy Access to Highways*Professionally Selected Colors and Finishing Features Throughout This Picture Perfect Floorplan*Flowing Floorplan on Private Lot*Surrounding By Custom Built Homes*12 Foot Ceilings, Crown Molding, Custom Tile, Butlers Pantry, etc. *A Must Se"
"Original owner, contemporary 3 story town home, featuring: plantation shutters in EVERY WINDOW, 3 full baths, first floor huge family room, mid floor kitchen, living dinning 2 bedrooms, 3 level master bedroom with sitting area, all countertops including kitchen and baths are granite, rod iron spindles, balcony, upgraded flooring, low maintenance yard, lock and leave, guarded entry, soccer basket and volley ball courts, tennis, pool, https://www.youtube.com/watch?v=A1YDAIQi1z0&t=14s drone video"
"Located in the NEISD Excellent Schools Zone *Neighborhood amenities are one of the best in Stone Oak area *24 hour front gate guard and roving patrol for added safety. 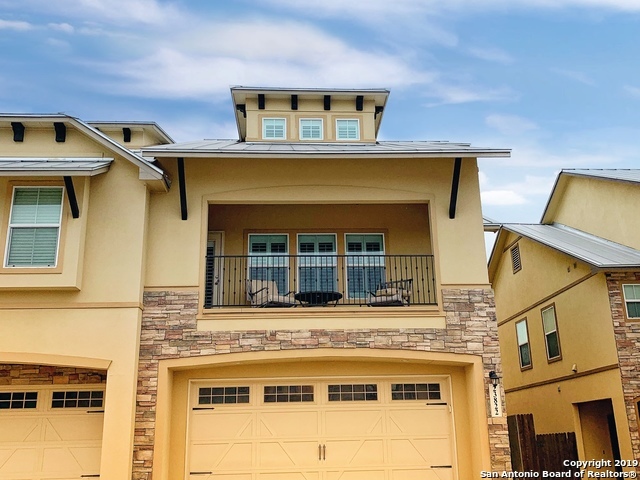 This 3 Story townhouse has all the charm needed to make this your home. Endless upgrades both inside and out with low yard maintenance. Custom deck and covered patio, beautiful views from master suite, open concept, too many features to list. Located in a quiet and cozy section close to amenities backs to a greenbelt don't miss ou"